Looking to take a vacation with someone special in your life? Then now is the time to start planning an unforgettable trip. There are many activities to do on a cruise ship that you will not have a second to be bored. From luxurious looking pools to the finest dining you have ever seen, cruise lines offer you a one of a kind experience. The package prices can be quite expensive due to the amount of class you get out of them, according to ABC News1, they stated that these luxury cruise lines could cost you around $400 to $900 a person per day which could lead you to thousands by just spending a couple of days out at sea. Even though these cruise lines can be expensive there are ways to find a great deal without spending thousands of dollars. The best way to save money is to take a look at the cruise lines that are offering promotions or discounts. You have to keep an eye on these deals as they change almost every week but you could end up finding a deal that will save you money which leaves you with more to spend somewhere else. People often think that sailing on a luxury cruise line is something that will never happen to them but with our help you could find some of the best looking ships that are offering incredible prices. 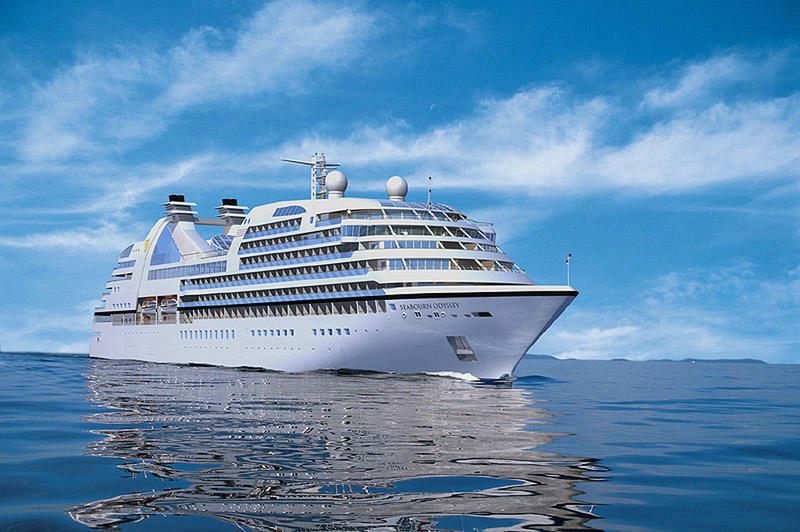 With Regent Seven Seas2 you get an elegant and luxurious trip that you will find quite amazing. They offer you some of the classiest service a cruise line has to offer. The rooms within the Regent Seven Seas are all luxurious suites that come with a personal butler that will tend to your needs. People often rave about the food and beverages that are made on the ship, there are many activities that you could indulge in as well as many pools. Regent Seven Seas offers you one of the most luxurious experiences at affordable prices, that is what they are known for. Check online for special promotions that usually offer deals for you to save $1000 off per person or even a 2 for 1 deal. With Regent Seven Seas you could stay up to 5 nights for around $2,000 which certain perks included, a great deal that shouldn’t be passed up. The Yachts of Seabourn often sail in the Caribbean and offer you some exceptionally luxurious rooms and an experience that will last. In these ships you will find that every room is a suite that offers you walk in closets and bars that are all stocked up. If you are looking to dine at one of the many fine dining restaurants you will be surprised with the excellent service. With these cruise line you will be able to save a good amount of money because the Yachts of Seabourn3 are always offering discounts that could get you 65% off of your trip. There are many promotions that offer different prices so make sure to check and compare. This cruise line is one of the new arrivals that offers you some amazing service and is becoming the top luxury cruise line that offers affordable deals. If you are looking to sail with Azamara they will offer a personal butler that will help you out with your needs. There are exceptional restaurants on the ship that have famous chefs that help create a unique experience every time you dine in. The reason why a lot of people like sailing with Azamara4 is because of the affordable prices they offer you could stay up to 12 nights on this luxurious class ship for around $1,500 which is a steal. This would be a perfect trip to either take that special someone in your life. There are many locations that the Azamara visits which gives you a variety of options to choose from. With Oceania, they give you the choice to customize your vacation the way that you find suitable and at an affordable price. Not only are you getting a great deal when you go with Oceania but you are getting the best luxury service. Oceania offers passengers to choose from making activities that are located on the ship such as cooking classes, restaurants, gyms and amazing looking suites. You will have access to a butler 24/7 and be able to visit the spa whenever you please. Unlike other cruise lines Oceania5 gives you the freedom to plan your vacation and gives you the best discounts and prices. Because Oceania is not the most luxurious ship on the water you are able to get great prices that Oceania always offers, make sure to take a look before you plan your trip. Want to enjoy some of the most luxurious cruise lines on the water then now is the perfect time to start planning. The holidays are here which means that cruise sites are offering great discounts for people looking to plan their vacation for next year. Be sure to check online for any promotions or deals that cruise lines are offering, remember that you could find a cruise for under $1,500 by just searching online and comparing different sites. If you want to find the best deal without going through a hundred websites then going to an online traveling site will help you compare multiple sites without searching for them. This is a great way to find the best deal, be sure to starting searching today and find the best luxury cruise line out there.